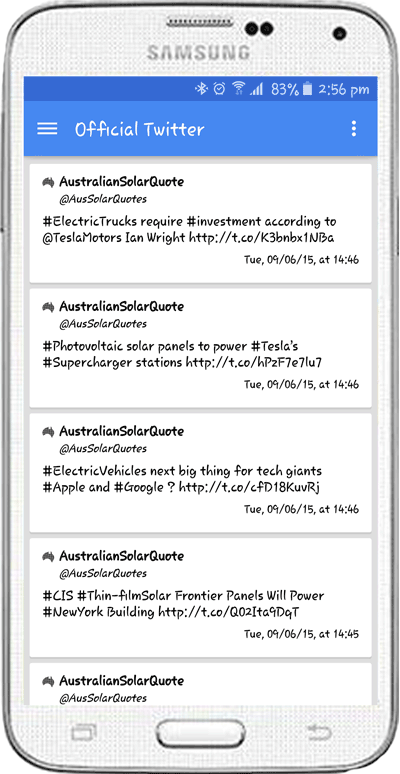 The Australian Solar Quotes apps are a powerful revolution in the Australian solar space. 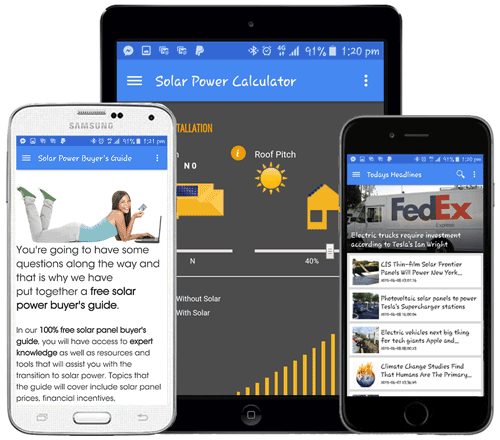 The apps are customised to be fast, fun and simple, making you more productive; the solar way. Available for all mobile devices, ASQ apps enable users to maximise their system’s uptime and solar harvesting capabilities everywhere, even on the go. The beautifully designed apps are the most advanced remote monitoring tools for system owners and PV installers; providing relevant and up-to-date data whenever it is needed. ASQ apps are amazing and meet all your information needs conveniently without limitations or complications. And best of all, you are able to access them anytime of the day wherever you are. Thanks primarily to cloud technology, ASQ customers can now enjoy the full functionality of our apps on not only smartphones, but on their computers as well. Download the apps today and share the essence of advanced solar technology. Catch up on the latest solar news at any time, anywhere, with the solar news app, covering stories right across the solar industry. Interested in solar energy in your home? Use the solar power calculator to determine how much money you can save! Use our Buyer’s Guide to determine which kind of solar power system will work for you and your family or business. With links to our social media profile, you can keep on top of the latest information about the solar industry. 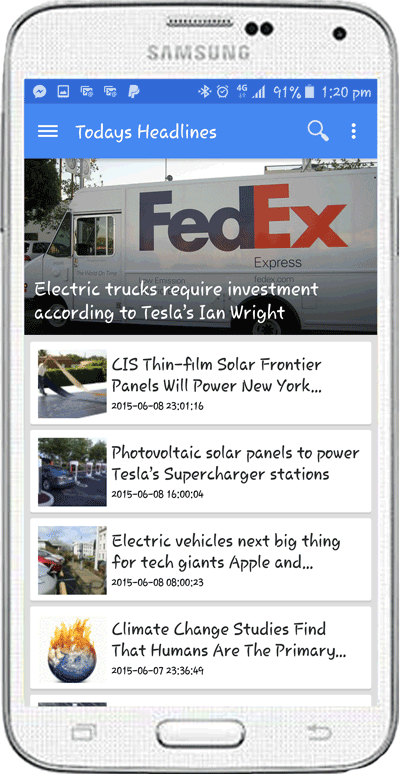 The powerful ASQ solar news app brings you the hottest news right to the palm of your hand. With just a click, you’ll be up to speed with everything solar; from climate change, electric vehicles, photovoltaic solar panels, federal government moves on solar and much more. Catch up on the latest solar news and stories at any time, from across the solar industry. Trust me; you’ll be the first to know. 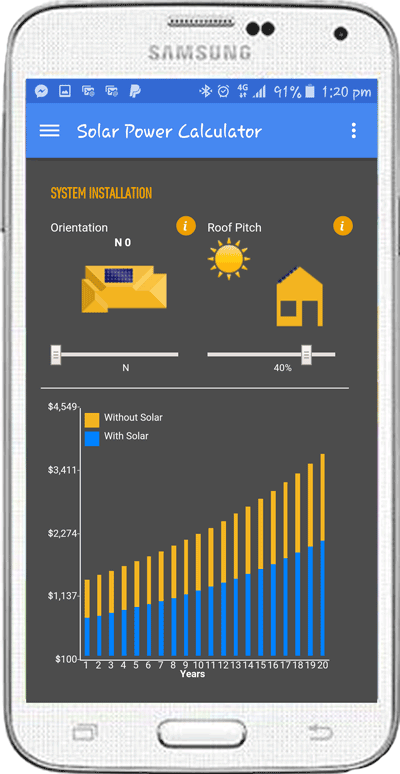 The Solar ROI Calculator is a simple, user-friendly app that allows you to determine your cost saving on solar installations. Interested in using solar energy in your home? Whether calculating the energy produced by your photovoltaic installation, checking the solar radiation and potential shading, useful information such as CO2 emissions foregone, hours of light generated or the distance covered by an electric car with power generated by the PV installation, this smartphone app performs efficiently and will deliver with a difference. This app is a remarkable idea created for forward-thinking people like you. 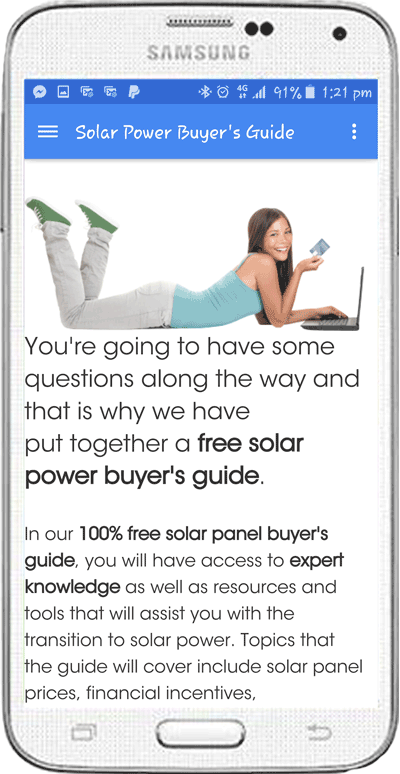 Use our Buyer’s Guide to learn more about financial incentives, solar panel prices, and the kind of solar power system that will work for you and your family or business. The ASQ Buyer’s Guide is completely FREE and full of valuable information and expert tips. The social media app is a great functionality that allows users to have easy access to social media platforms and e-mail allowing them to connect with friends and family, and share while having fun. With the social media app on your phone, browsing the latest solar trends on Facebook, Twitter and Google+ will put you in the know fast! So what are you waiting for? Solar apps have never been cooler!